Looking for passionate brain builders to join us in impacting children during the critical 1st 2,000 days! At The Centers for Families and Children, we recognize that 90% of the brain is formed before a child even steps into a kindergarten classroom. As part of the Early Learning team, your work with infants to preschoolers will provide life-changing solutions to the children and families we serve. The Centers for Families and Children is one of the oldest and largest nonprofit human services organization in Northeast Ohio. Through innovation and leadership, we strengthen the community by providing individuals and families with life-changing solutions to lead healthier and more successful lives. The Centers provides high-quality care for children during the critical first 2,000 days of life by operating seven high-quality early learning centers, serving children birth through five years old, in Cleveland and the inner-ring suburbs. Because of our high standards, all sites achieved a 5-Star rating on the Step-Up-To-Quality Rating and been recognized and selected to be part of Universal Prekindergarten (UPK) and PRE4CLE. All employees are afforded opportunities for personal and professional growth. With our innovative and collaborative mentoring and coaching sessions, all teachers receive enhanced curriculum, assessment, and observation training and tools to help provide ongoing support. The Centers offers a college reimbursement benefit to help all full-time, benefit eligible employees advance their education. The Centers also offers the opportunity for staff to attend paid in-service trainings, seminars, training sessions, and meetings outside of the organization to stay abreast of research and best practices. The Centers offers a comprehensive benefits package, including: medical, dental, vision, 401k with employer contribution (regardless of employee’s contribution amount), vacation/sick/holiday paid time off, employer paid life insurance and long-term disability, and many other benefits. 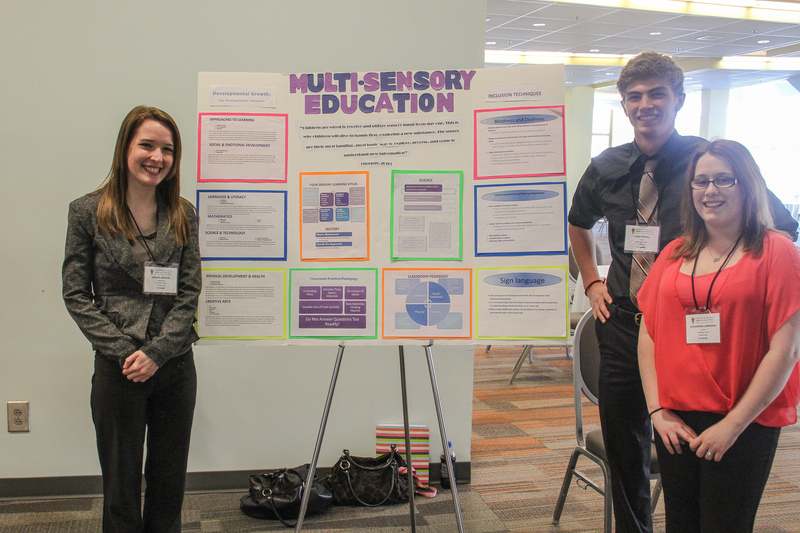 Help maintain exciting well equipped learning environments to foster exploration. Cultivate optimal growth and development through High Scope Curriculum activities in both the indoor and outdoor environment. Promote personalized planning with high levels of teacher-child interactions under the direction of a supervisor. As a teaching team, help design, develop, and implement developmentally appropriate activity plans for children based on assessment and screening data. Be a team member in engaging parents through caring, meaningful, and professional relationships to enhance child(ren)’s development. 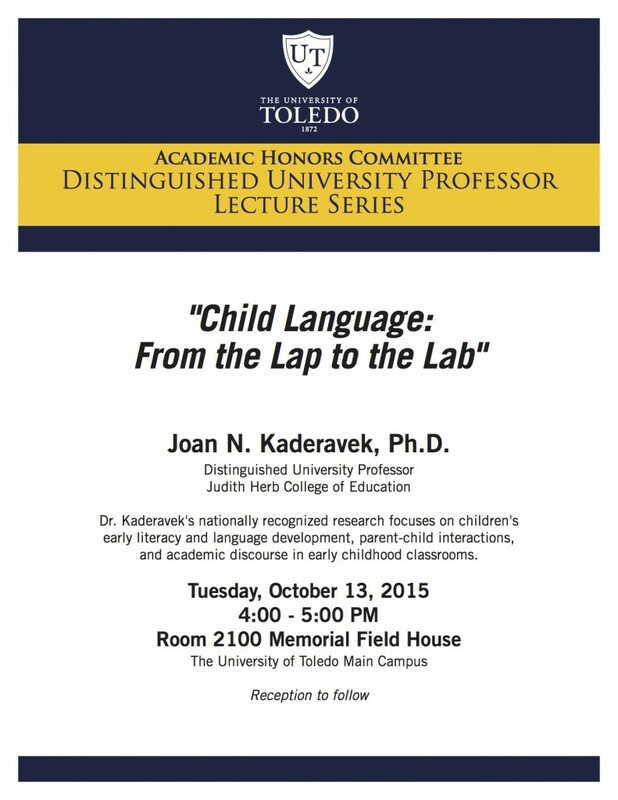 Dr. Joan Kaderavek, Professor in the Judith Herb College of Education, will be presenting the next lecture in the Distinguished University Professor Lecture Series on October 13, 2015. Dr. Kaderavek’s lecture is titled, “Child Language: From the Lap to the Lab” and is presented by the University’s Academic Honors Committee. More information is available on the flyer below. 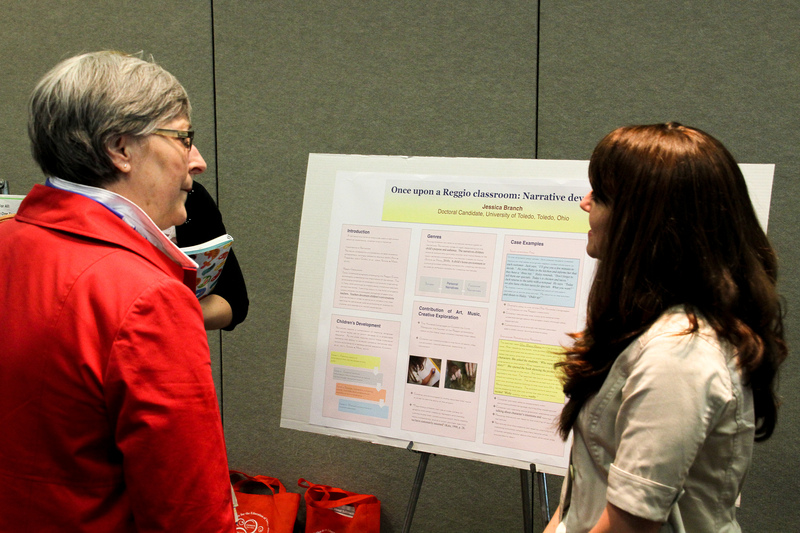 The Judith Herb College of Education’s Online Master of Education in Early Child Education has been ranked as the top 25 online programs in the country by GreatSchools.org.